October 24, 2014 (William Engdahl - NEO) - The Washington neo-cons and their allies in the US State Department and Obama Administration are clearly furious with China, as they are with Russia’s Vladimir Putin. As both Russia and China in recent years have become more assertive about defining their national interests, and as both Eurasian powers draw into a closer cooperation on all strategic levels, Washington has decided to unleash havoc against Beijing, as it has unleashed the Ukraine dis-order against Russia and Russian links to the EU. The flurry of recent deals binding Beijing and Moscow more closely—the $400 billion gas pipeline, the BRICS infrastructure bank, trade in rubles and renminbi by-passing the US dollar—has triggered Washington’s response. 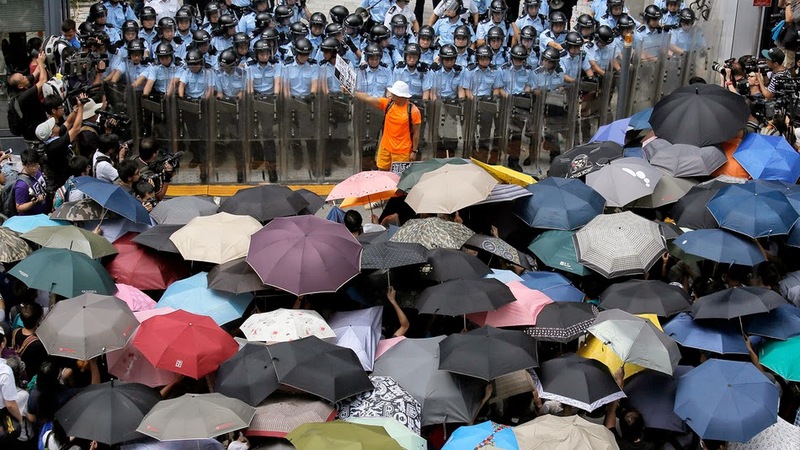 It’s called the Hong Kong ‘Umbrella Revolution’ in the popular media. In this era of industrial globalization and out-sourcing of US industry to cheap-labor countries, especially to China, it’s worth taking note of one thing the USA—or more precisely Washington DC and Langley, Virginia—are producing and exporting to China’s Hong Kong. Hong Kong Special Administrative Region of the People’s Republic of China has been targeted for a color revolution, one that has been dubbed in the media the Umbrella Revolution for the umbrellas that protesters use to block police tear gas. The “umbrellas” for Hong Kong’s ongoing Umbrella Revolution are made in Washington. Proof of that lies not only in the obscenely-rapid White House open support of Occupy Central just hours after it began, following the same model they used in Ukraine. 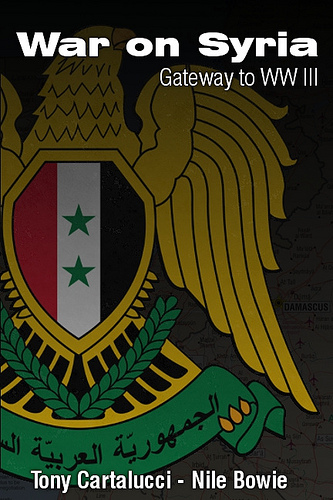 The US State Department and NGOs it finances have been quietly preparing these protests for years. Consider just the tip of the Washington Hong Kong “democracy” project. With almost by-now-boring monotony, Washington has unleashed another of its infamous Color Revolutions. US Government-steered NGOs and US-trained operatives are running the entire Hong Kong “Occupy Central” protests, ostensibly in protest of the rules Beijing has announced for Hong Kong’s 2017 elections. The Occupy Central Hong Kong protest movement is being nominally led by a 17-year-old student, Joshua Wong, who resembles a Hong Kong version of Harry Potter, a kid who was only just born the year Britain reluctantly ended its 99-year colonial occupation, ceding the city-state back to the Peoples’ Republic. Wong is accompanied in Occupy Central by a University of Minnesota-educated hedge fund money man for the protests, Edward Chin; by a Yale University-educated sociologist, Chan Kin-man; by a Baptist minister who is a veteran of the CIAs 1989 Tiananmen Square destabilization, Chu Yiu-ming; and by a Hong Kong University law professor, Benny Tai Yiu-ting, or Benny Tai. Behind these Hong Kong faces, the US State Department and its favorite NGO, the US Congress-financed National Endowment for Democracy (NED), via its daughter, the National Democratic Institute (NDI), is running the Occupy Central operation. Let’s look behind the nice façade of peaceful non-violent protest for democracy and we find a very undemocratic covert Washington agenda. Start with Chu Yiu-ming, the Baptist minister chosen to head Occupy Central. The most reverend Chu Yiu-ming is a founder and sits on the executive committee of a Hong Kong NGO– Hong Kong Human Rights Monitor (HKHRM). HKHRM as they openly admit on their website, is mainly financed by the US State Department via its neo-conservative Color Revolution NGO called National Endowment for Democracy (NED). They state their purpose: “HKHRM briefs the press, the United Nations, local and overseas governments and legislative bodies on Hong Kong human rights issues both orally and through written reports.” In their 2013 Annual Report, the NED reports giving Rev. Chu Yiu-ming’s HK Human Rights Monitor a grant of US$ 145,000. You can buy a boatload of umbrellas for that. Chu’s HKHRM also works with another NED-financed creation, the Alliance for Reform and Democracy in Asia (ARDA). When Occupy Central top honchos decided to (undemocratically) name the very reverend Chu as leader of Occupy Central this past January, 2014, Chu said it was because “I have more connections with different activist groups, and experience in large-scale social campaigns.” He could have named NED as activist group and the CIA’s 1989 Tiananmen Square as a ‘large-scale social campaign,’ to be more specific. 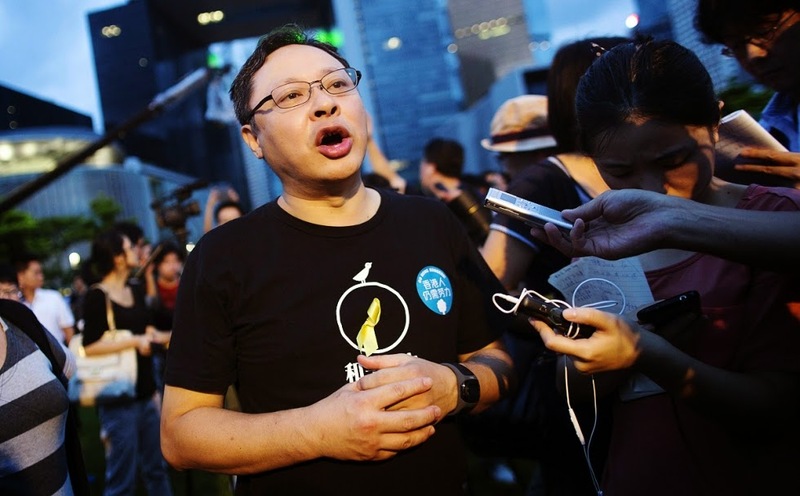 The Baptist preacher admitted that he was named de facto leader of Occupy Central by two other leading organizers of the civil disobedience movement, Benny Tai Yiu-ting and Dr Chan Kin-man, who wanted him “to take up” the role. The Centre for Comparative and Public Law (CCPL) at the University of Hong Kong, with support from NDI, is working to amplify citizens’ voices in that consultation process by creating Design Democracy Hong Kong (www.designdemocracy.hk), a unique and neutral website that gives citizens a place to discuss the future of Hong Kong’s electoral system. The Hong Kong wunderkind of the Color Revolution Washington destabilization, 17-year-old student, Joshua Wong, founded a Facebook site called Scholarism when he was 15 with support from Washington’s neo-conservative National Endowment for Democracy via its left branch, National Democratic Institute and NDI’s NDItech project. And another Occupy Central leading figure, Audrey Eu Yuet recently met with Vice President Joe Biden. Hmmmm. 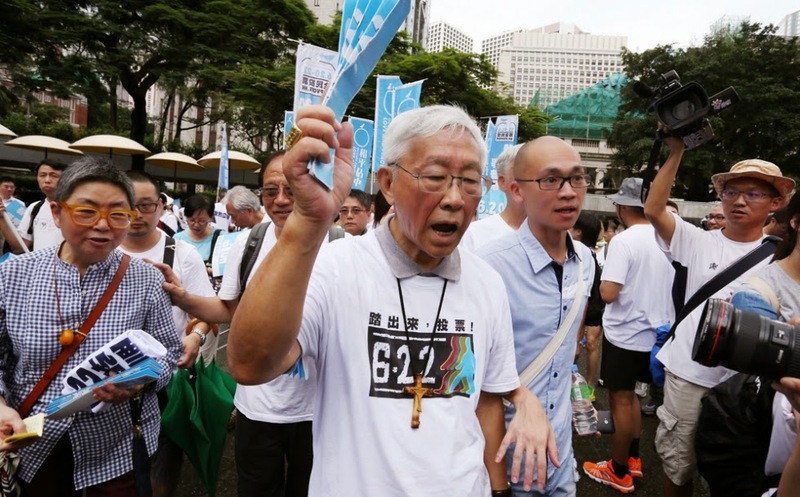 Less visible in the mainstream media but identified as one of the key organizers of Occupy Central is Hong Kong’s Catholic Church Cardinal Bishop Emeritus, Joseph Zen. Cardinal Zen according to the Hong Kong Morning Post, is playing a key role in the US-financed protests against Beijing’s authority. Cardinal Zen also happens to be the primary Vatican adviser on China policy. Is the first Jesuit Pope in history, Pope Francis, making a US-financed retry at the mission of Society of Jesus founder (and, incidentally, the Pope’s real namesake) Francis Xavier, to subvert and take over the Peoples’ Republic of China, using Hong Kong as the Achilles Heel? Vice President Joe Biden, whose own hands are soaked with the blood of thousands of eastern Ukraine victims of the neo-nazi civil war; Cardinal Zen; Reverend Chu; Joshua Wong; Benny Tai and the neo-conservative NED and its NDI and a bevy of other State Department assets and NGO’s too numerous to name here, have ignited a full-blown Color Revolution, the Umbrella Revolution. The timing of the action, a full two years before the Hong Kong 2017 elections, suggests that some people in Washington and elsewhere in the west were getting jumpy. 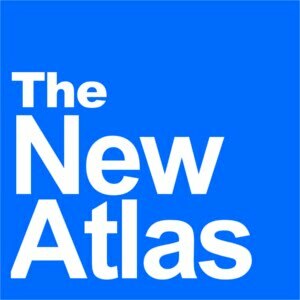 The growing Eurasian economic space of China in conjunction with Putin’s Russia and their guiding role in creating a peaceful and very effective counter-pole to Washington’s New World (dis-)Order, acting through organizations such as the Shanghai Cooperation Organization and the BRICS, is the real target of their dis-order. That is really quite stupid of them, but then, they are fundamentally stupid people who despise intelligence.